The food and beverage industry is inherently social. Sharing experiences dining out, having drinks with friends or attending the grand opening of a hot new restaurant have become millennials’ and generation Z’s new interpretation of luxury. San Francisco State University researchers found that people who spend money on experiences rather than material items were happier and felt good about where their money was spent. Enhancing the customer experience or simply creating one where people least expect it, such as in a grocery store, can go a long way in terms of loyalty in an industry that sees very little of that today. 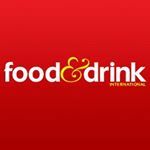 Food & Drink International understands that every company affiliated with the food and beverage world has valuable information to bring to the table. We are the only publication that offers executives in the restaurant, retail, production and distribution industries the opportunity to share their ideas, opinions and strategies in a single forum so they can make smart decisions that will benefit their brands. practices in sustainability, customer service, supply chain management, employee training, productivity, food safety and marketing. Our more than 290,000 readers can visit the section that applies to their field and then browse through other sections that directly or indirectly impact their business. There is no other publication that can facilitate this sort of “cross-table” conversation among the industry’s top thinkers. Food & Drink International is the gatekeeper of information for anyone who needs to stay on top of emerging trends, regulations and technologies that impact the entire food supply chain. Through our print and digital publications, website and social media feeds, database and trade show portal, and independent editorial, Food & Drink International’s experienced team of researchers, editors and contributors are here to serve you with breaking news and business strategies that will keep your company on the leading-edge. Demographic data for @foodanddrinkintl's audience is available for free to influence.co users.